[don’t] prevent the development and progression of epilepsy (epileptogenesis). 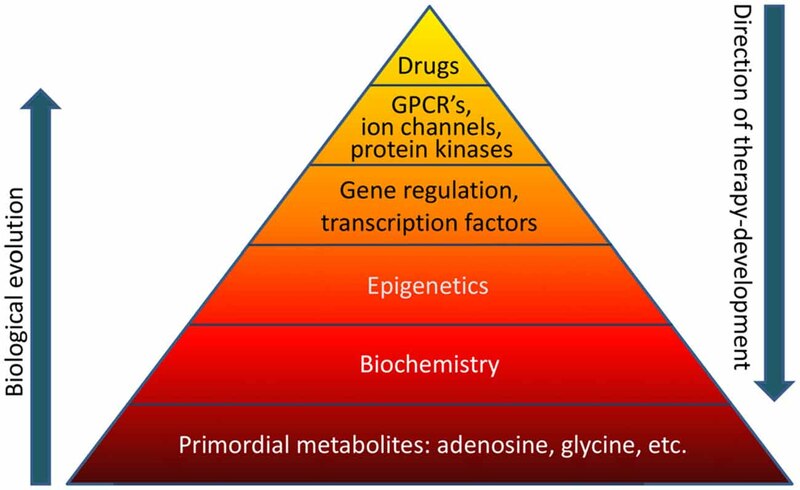 As it was, the reviewer lapsed into the prevalent belief that the causes of and cures for human diseases will always be found on the molecular level – for example, the base of the above pyramid – and never in human experiences. This preconception leads to discounting human elements – notably absent in the above pyramid – that generate epigenetic changes. A consequence of ignoring experiential causes of diseases is that the potential of experiential therapies to effect “therapeutic reconstruction of the epigenome” isn’t investigated.